Although from varied backgrounds, our leaders share a common vision and values; They possess a passion for building, a devotion to clients, a dedication to ensuring the company's - and people's - continued growth and prosperity. Teamwork is an essential part of the Vedant culture. 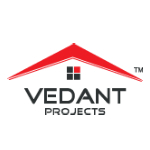 Vedant combines a rigorous focus on outstanding construction with a dedication to superior client service. Our mission demonstrates our clear-cut ability to put our values and mission into action. We at Vedant work as one family with a shared sense of values held in high esteem. Responsibility, dedication, perseverance and innovation are the key words that inspire us and as a culture these permeate our entire work atmosphere. The company is headed and managed by a team of reputed entrepreneurs; Mr. G Janardhan (Founder of Upahara Darshini, a restaurant chain), Mr. Rajkumar Pai (Pai International Electronics limited, a leading home appliances and digital electronics showrooms) and Mr. Tejas H V, Managing Partner, who has to his credit - Residential projects in Jayanagar & Hulimavu, Commercial projects at H.S.R. Layout & Jayanagar and also he is one of the Director in Valmark Homes. Ever since they started their journey into construction, they won the trust of their customers with highest quality in construction and design for over a decade.